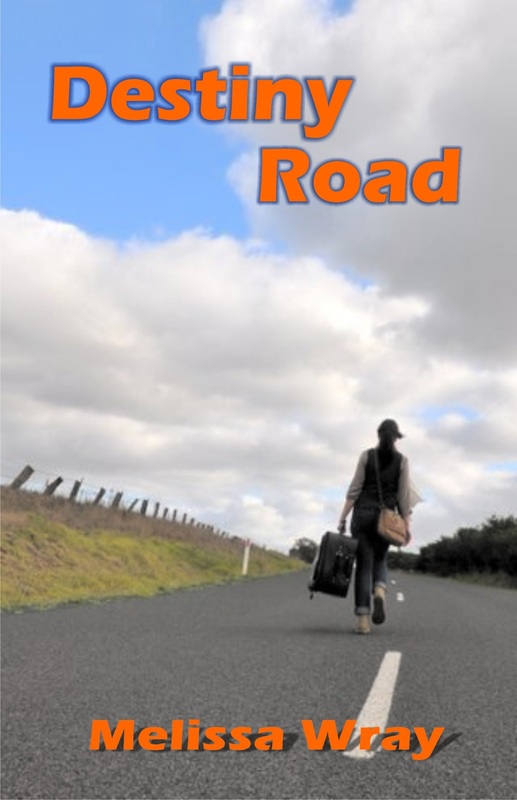 Destiny Road is about a sixteen year old girl Jessica, who is building up to making a most important decision. One that will affect the rest of her life. It is a story of decision, growth and acceptance. Read the 1st chapter for free or purchase the book here. Wow! What a fantastic honour to have. Thanks so much for having me. Now before everything else, can you tell us a bit about yourself? What makes Melissa Wray, Melissa Wray? Firstly I am the mother of 2 beautiful kids who keep me very entertained. I am a passionate primary school teacher who loves teaching. I am a closet writer that has only recently opened up about writing. It has been a hobby for the last few years until the publication of Destiny Road. I am a reader from way back and will cook tea with a book in my hand if the storyline grips me. Lastly I am a glass half full kind of person and try to always look for the positive. You must be asked this often but I’m interested to know… what inspired you to become an author? Honestly I only ever thought I would be a writer. It feels strange to consider myself an author of a published novel. I began a writing course several years ago but it was for writing for middle aged reader (7-10 year olds). The Young Adult genre was totally unexpected for me yet I think I have found my voice when writing within it. You have an interesting story about becoming a published author. Can you tell us more about it? I had finished Destiny Road and saw a competition to win a publishing contract. It was through Morris Publishing Australia. My maiden name is Morris so it thought it too much of a coincidence not to enter. I never dreamed I would be shortlisted, let alone win a publishing contract! It’s been loads of fun and I have learnt heaps along the way. About your book, what inspired you to write Destiny Road? I made the same choice Jessica makes in the story. I chose to go and live with my dad for the first time when I was 16 and had to live with that decision. Unlike Jessica I had known him my entire life but my parents divorced when I was very young. My dad died several years ago. It always haunted me that I never told him how grateful I was that he agreed to let me live with him all those years ago. I dedicated Destiny Road to his memory. With the publication I feel like I have said thankyou, so hopefully he knows. It took about 18 months to write – lots of late nights after the kids were asleep. I sent it off to be professionally assessed. Then I spent another 6 months reworking, adding and editing. I added more to the storyline (about 15,000 words more!) including new characters and events. I’ve always been interested to know how authors come up with the characters in their books, especially the names. How did you come with up yours? I am really bad with names! I think that comes from being a teacher and lots of names remind me of students. I wanted a name that was Australian but feminine and came up Jessica. The only name of any significance in the book is Dempsey, I always liked that for a girl’s name but didn’t use it for my daughter as we already had a name picked out. I love creating the characters though and trying to bring their personality to life. Sometimes their names evolve during the story. What can readers expect from Destiny Road? A journey of choices, consequences, heartbreak and acceptance. They will get to experience the journey of not just Jessica but all the characters involved in the story. This was a surprise to me by the time I finished but I was pleased that this happened. I hope readers connect with Jessica and the fact that we sometimes have to live with decisions made by people around us. We also have to accept the consequences that come from their choices and our own. Quick fix to a sad day? Big cuddles with my two children. I have always loved reading. I grew up about 600m from the local library so I spent a lot of time there! Thanks for hosting me Isabel. I am thrilled to be your first author spotlight. Good luck with it!